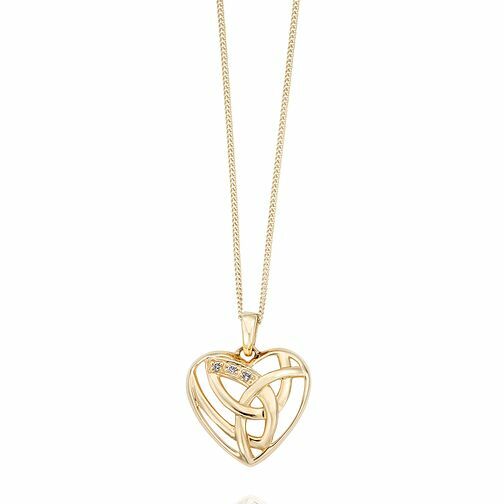 Clogau Eternal Love pendant in 9ct yellow gold with stone set detail. All Clogau Welsh gold jewellery contains a touch of gold mined from the Clogau St David's Gold mine - the very same gold used in generations of royal jewellery. A stunning gift. Clogau 9ct Yellow Gold Eternal Love Pendant is rated 5.0 out of 5 by 2. Rated 5 out of 5 by Anonymous from Very well crafted excellent features Couldn't be happier with this product it is great value for money.